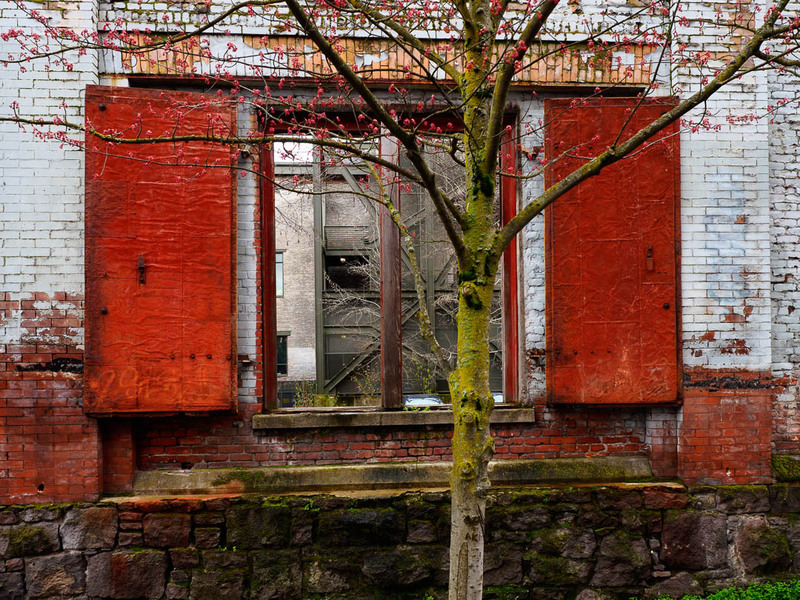 Until the turn of the millennium the Pearl District was a relatively unknown zone of Portland full of vacant lots and abandoned warehouses, mostly brick structures. 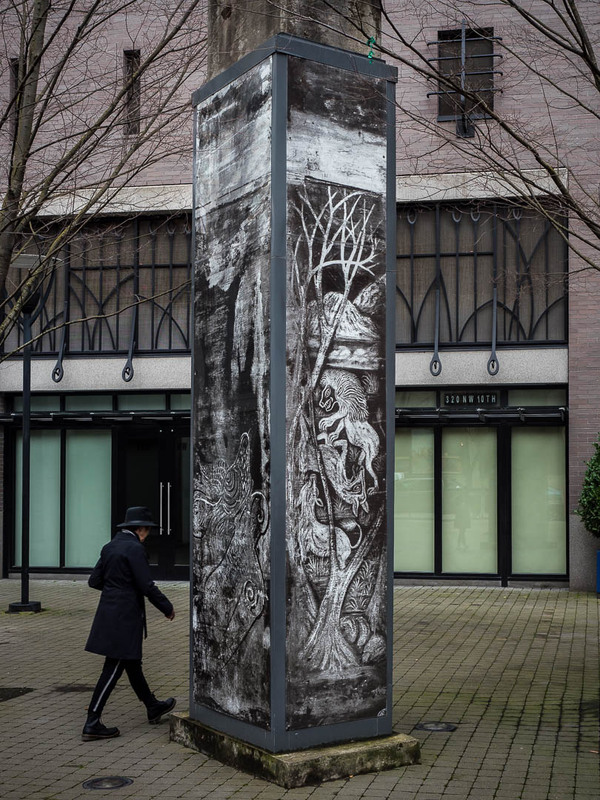 In the 80’s and 90’s artists discovered the area, and not surprisingly, eventually the Pearl District turned into a hip area as the money followed the artists into this quarter as more and more old structures were converted into fancy living quarters. Starting 2001 the city council developed a Pearl District Development Plan and then thing really turned around for this area. 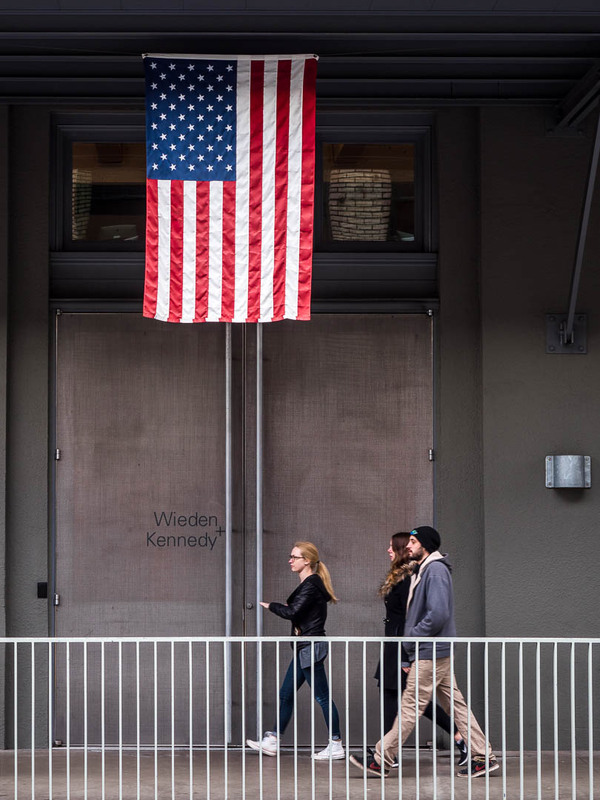 Warehouses were turned into lofts and condos, fashionable restaurants, galleries and decor shop followed. 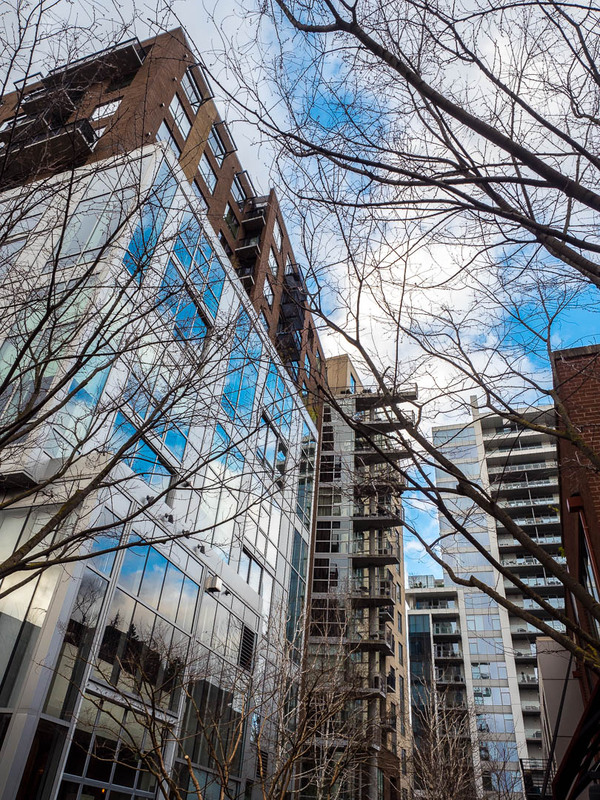 Modern and sleek-looking buildings were constructed on the vacant lost, so today the Pearl District features a fascinating and visually appealing mix of old and new, of modern times and the historic past. The transformation has been remarkable and today the area is on the more expensive and upscale zones of Rose City. 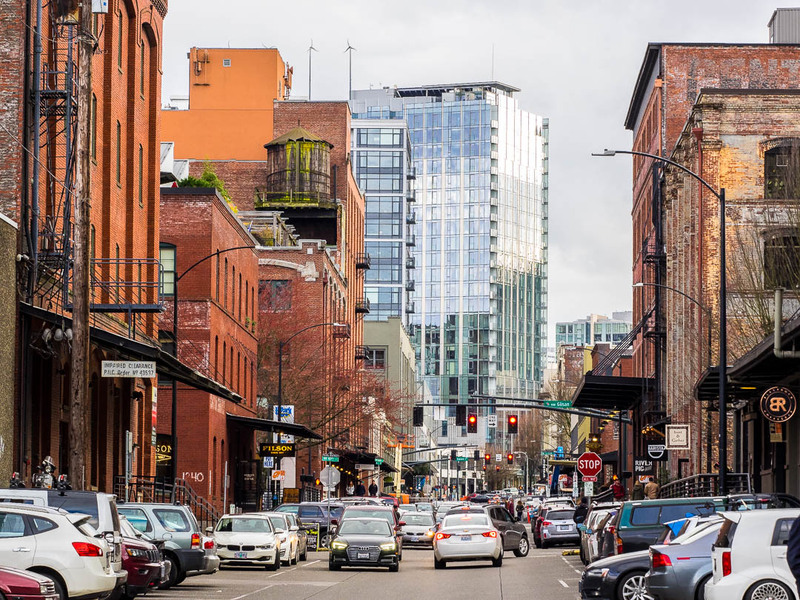 A tour of the Pearl District would start at W Burnside Street heading north. 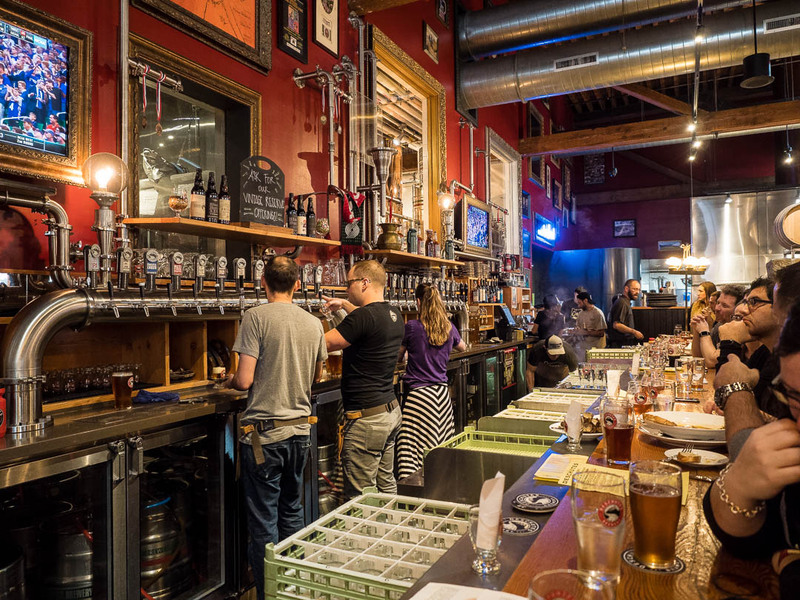 Make sure you visit one of the many breweries (I recommend Deschutes or Fat Head), fancy shops like Oblation Paper & Press, see the Lovejoy Columns (remnants of the now demolished Broadway Bridge), visit some of the many galleries along the roads, look at the Ecotrust Building (where the conversion of the warehouses once started), take in the modern structures around Jamison Square Park, have a coffee at Barista while walking down the NW 13th Ave and see the impressive entry doors to Wieden & Kennedy ad agency (running the global Nike campaigns). 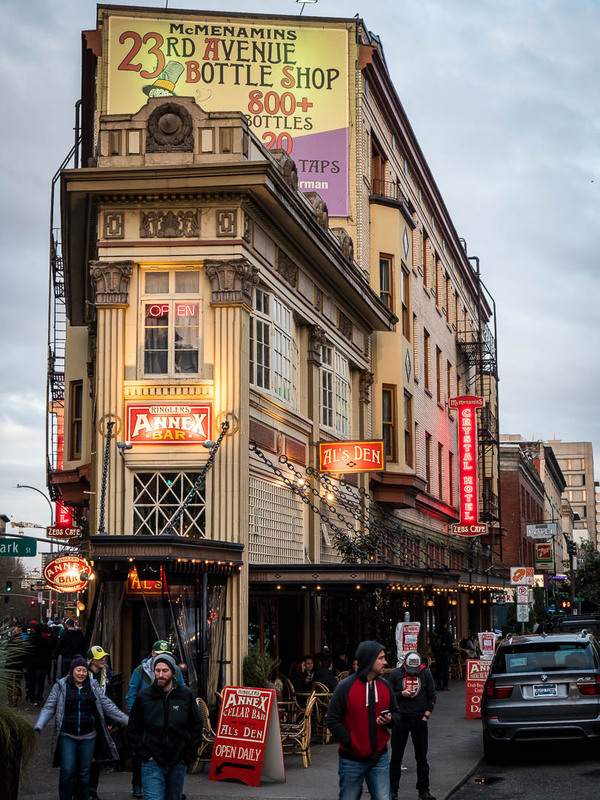 You might want to finish the tour at Powell’s City of books, the world’s largest independent book store that spans an entire city block across multiple levels. I’ve never seen so many photography books in one place in my entire life. 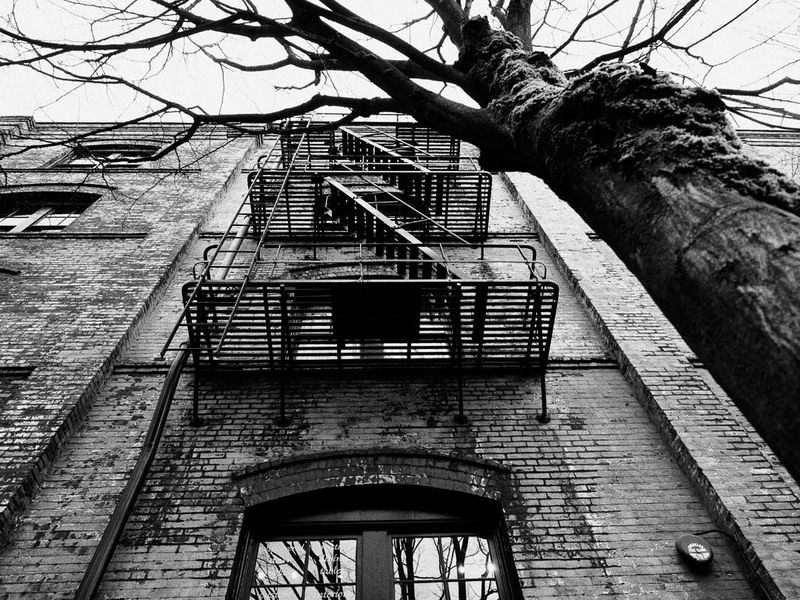 Take a look at the following photos to get your own impression about Portland’s Pearl District. I’m glad my city is treating you well! Portland has changed a lot since I was a child. When I first started going to Powell’s in the late 1970s, it was located in the grungy industrial district. If you have a chance, go to the newly expanded Portland Japanese Garden with beautiful architecture by Kengo Kuma. It opens to the public April 2. Rocking cool pictures! Great moments! I enjoyed these photos so much! Wow, what a nice collection of photos! 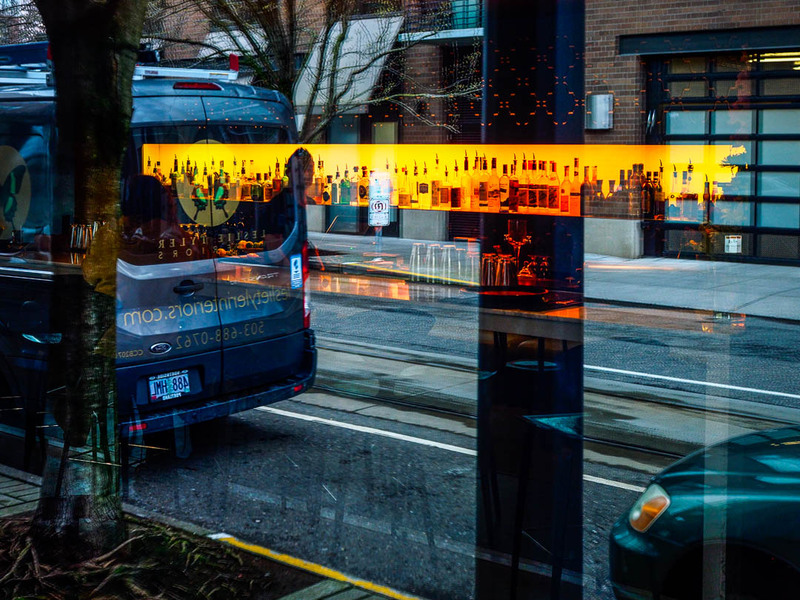 Really enjoyed this photo tour of the Portland Pearl district Marcus. Nee, sollte ich aber vielleicht tun? Für mich ist das die notwendige Therapie vom “Job that pays the bills” ! Very nice series Marcus. The puddle reflection maybe the nicest to my eye. The brewery shot is an excellent documentary shot. 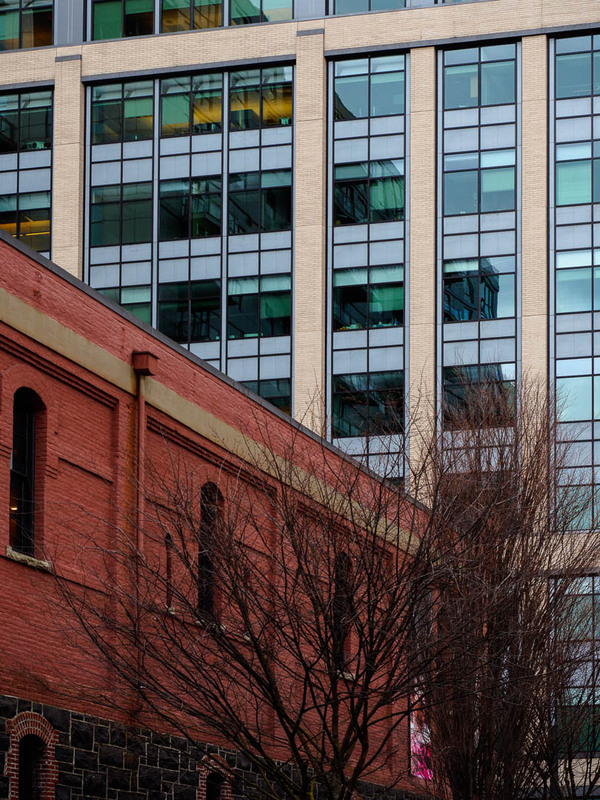 It gives a sense of the Pearl District. Thanks, Tim, the puddle shot surely is the most special of the bunch. 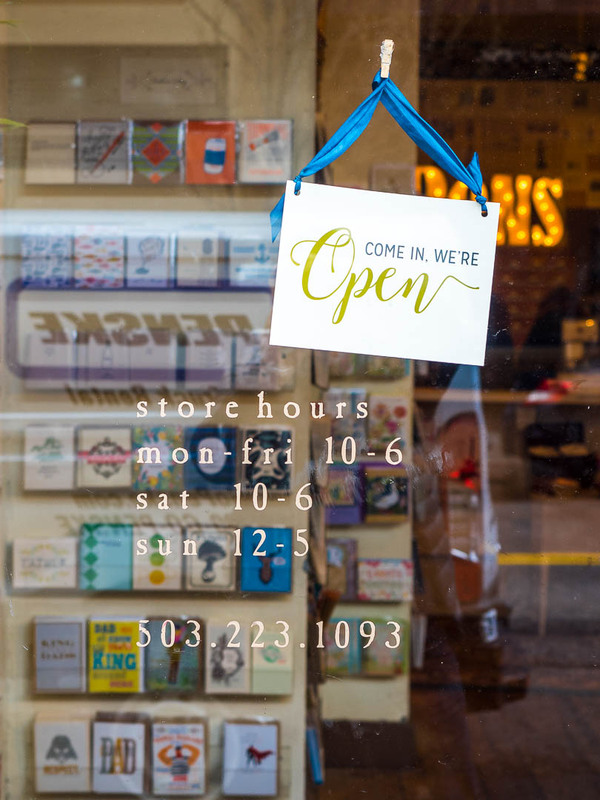 We’re you able to shop around Powell’s?! Hi Vicki, yes, I spend 90 minutes in Powell’s and I will be back. It is a dream for every book worm, and their collection of photography books is incredible. I’m gonna start looking for puddles 😃 what a magnificent shot!!! I am so inspired to try that kind of shot – wow! I loved our little tour too – always so fun to learn about new places! Thanks, judging from the comment it is clear what the favorite shot is 😉 ! 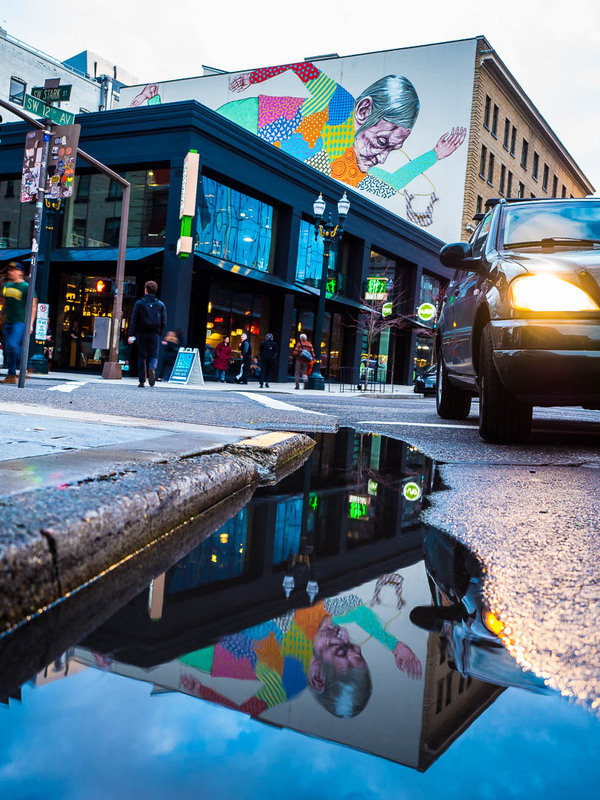 Well, if you look for puddles, come to Portland, there are more than enough 😉 ! Ha – yes, you know me too well.. 🙂 all the pix were awesome but that just SCREAMED to me!!! Thanks, David, also for the tip. Might try this already Sunday 😉 ! Thanks, Dina 🙂 ! It is inviting 🙂 ! WOW!! Super Tuesday here Marcus!! I LOVE these photographs so much! I love that reflective corner, of course. Its my favorite I think but it’s hard to say because each is unique and really, really cool. Thanks for sharing! It’s beautiful here in Riverside. Bluer than blue. 🙂 You’ve given me some ideas because the bird thing is getting old. 😉 Have a great day! Thanks, Janet 🙂 ! Glad you are happy in Riverside and looking forward to new twists of Janet-Art 😉 ! 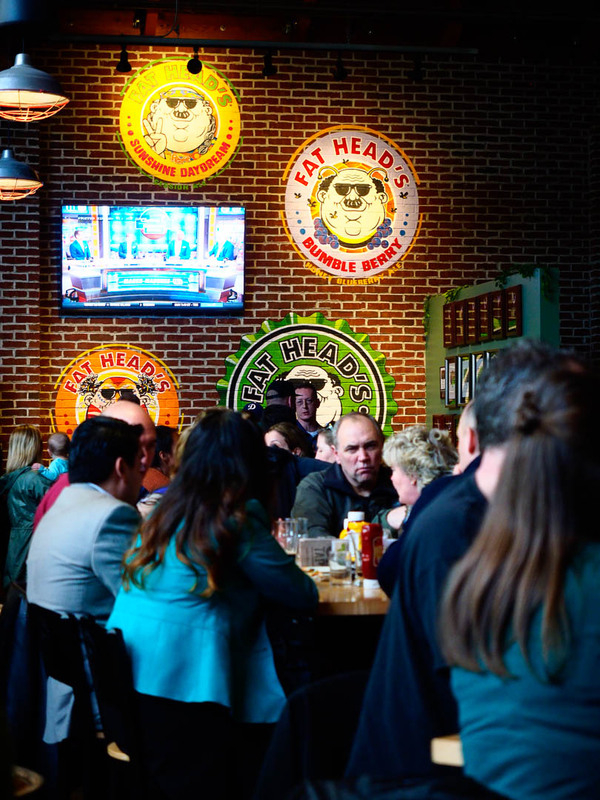 Excellent photography, looks like a great place to chug a few brews! Yes it is, John 🙂 ! Thanks for commenting! 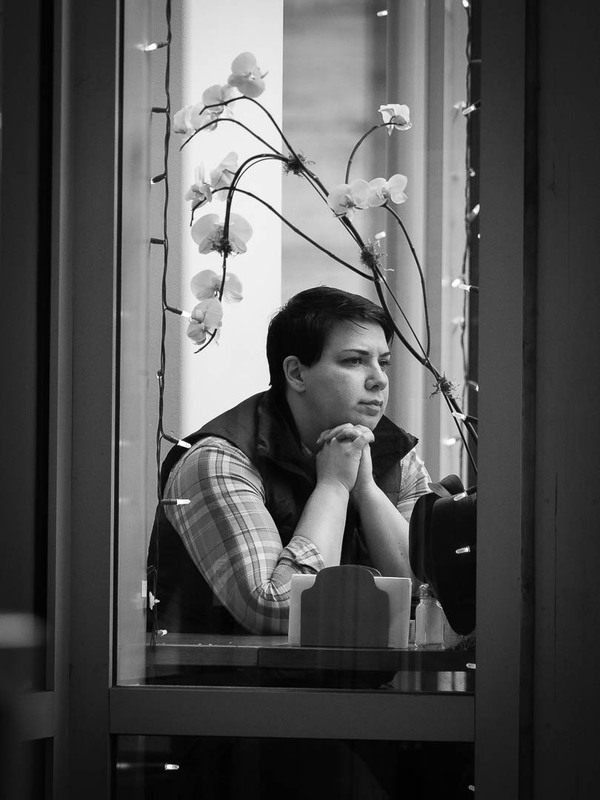 Great reflections in the coffee shop window. 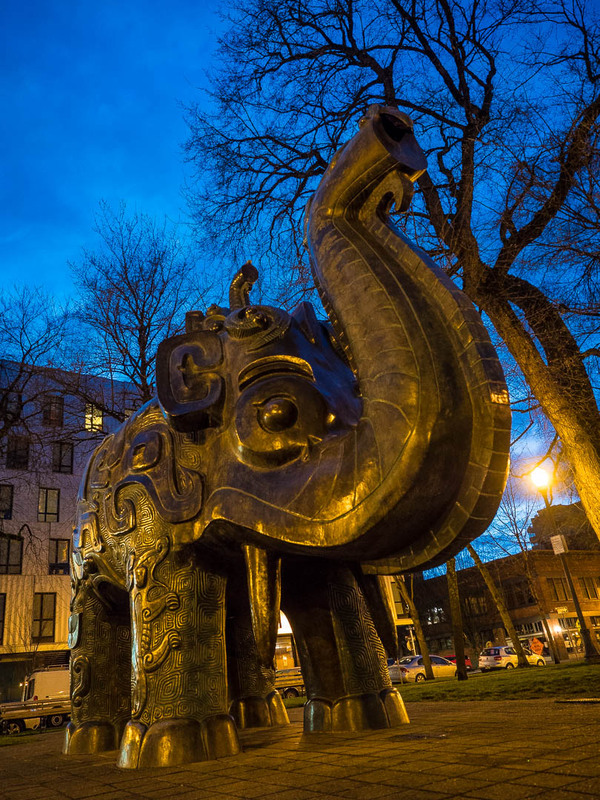 Super shot of North Park Elephant. 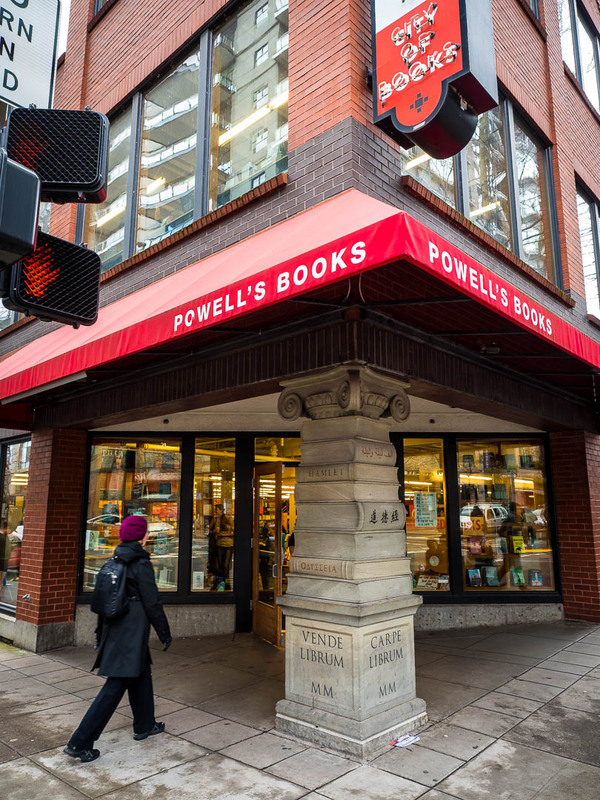 Would love to visit Powell’s Books! Thanks so much ! Powell’s books is heavens for a book nerd like me :-)) ! Love these! Especially the black-and-one one where the orchid is framing the person. It’s long been a dream of mine to visit Portland and Powell’s Books. Maybe some day. Thanks ! 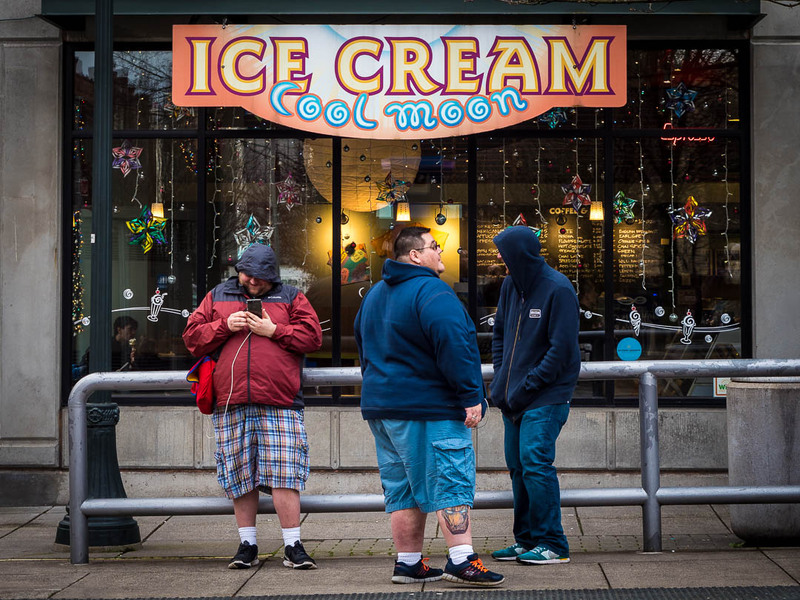 Visit Portland, it is so worth it, and I’m only beginning to discover! I really enjoyed both your commentary and, of course, the excellent series of images you provided. Thank you so much 🙂 highly appreciated! Thanks…the Benz was patiently waiting until I finished my shot before moving into the space where I kneeled. 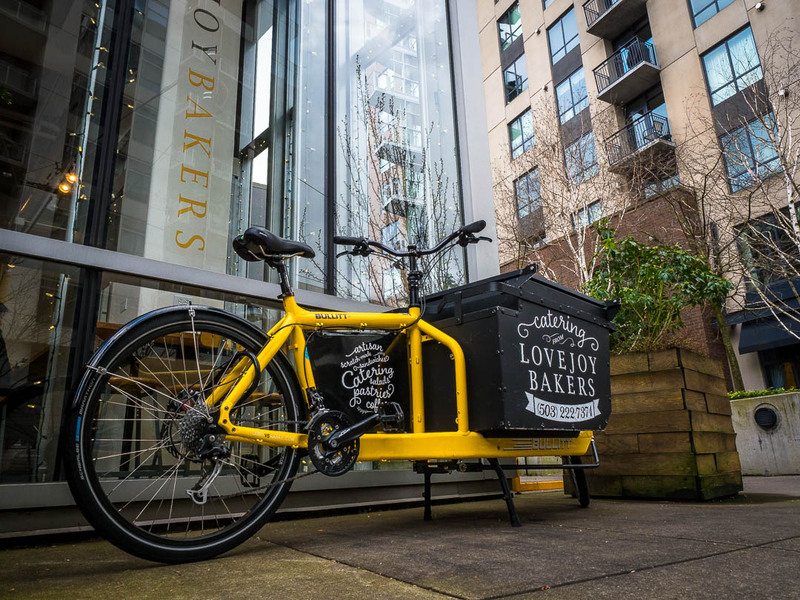 Also most considerate, them Portlandians 🙂 ! !